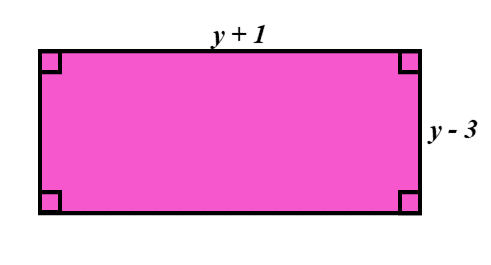 This is level 1: simplifying the expressions for the perimeters of basic shapes. The diagrams are not drawn to scale. 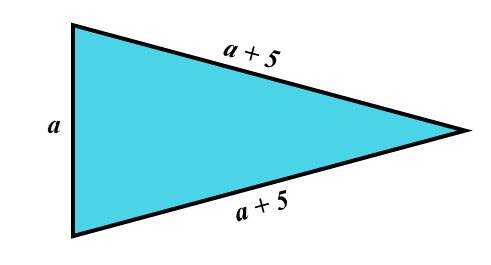 Find an expression, in its simplest form, for the perimeter of this triangle. 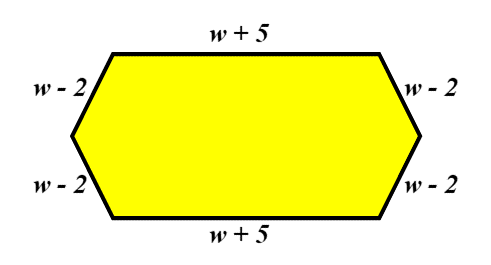 Find an expression, in its simplest form, for the perimeter of this rectangle. 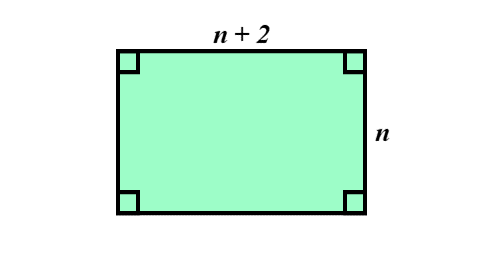 Find an expression, in its simplest form, for the perimeter of this hexagon. Exam Style Questions - Some problems in the style of GCSE exam paper questions (worked solutions are available for Transum subscribers). 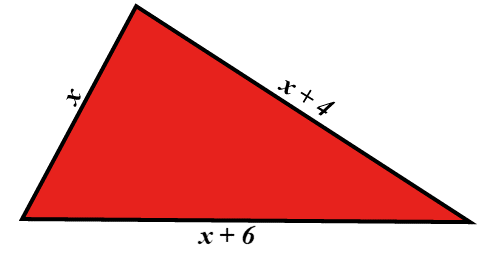 More Algebra including lesson Starters, visual aids, investigations and self-marking exercises. The video above is from the excellent Corbettmaths.